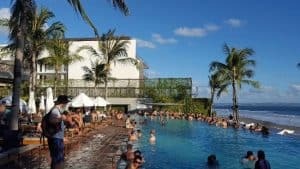 Potato Head Beach Club Seminyak is a popular beach club in Seminyak, Bali. It offers a beautiful view of the blue ocean ready to pamper the eyes of anyone who visits. In addition to the famous sea view and private beach, Potato Head Beach Club is also famous for its unique architecture. Hundreds of thousands of shutters adorn the outer walls. The window shutters can also be found as interior hallways to the room. The entrance to the beach club’s main hall is connected by a small hallway on one side decorated with greenery. Potato Head Beach Club takes local architecture such as Andra Martin and Eko Nugroho art designer to finish this beach club building. You can throw a party here with friends to make reservations in advance. 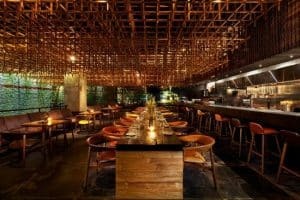 Set in Seminyak Town Square Suites, Jenja is a mix of restaurants, bars and nightclubs. Opened in April 2014, Jenja soon became one of the mandatory party hunter destinations. With good sound quality and the choice of songs is also good, especially hip-hop songs where the party successfully won the hearts of young people. The nightclub, named after the children’s toy of Jenga, offers hip-hop music games every Wednesday, nu disco every Thursday, and house music on weekends. In addition, Jenja also gave a cocktail discount of 50 percent for female guests every Wednesday night. Opened in late 2013, La Favela is in fact a restaurant with a design that blends vintage and industrialist styles. Among culinary connoisseurs, La Favela offers a wide selection of Mediterranean and South American food. After dinnertime, La Favela will be transformed into a pretty lively party hive. Here they can play everything from hip-hop, rock ‘n’ roll, oldskool funk, to soul. One other factor is the relaxed atmosphere minus pretensions. La Favela is like a very large living room party located on Jl. Admiral Oberoi No.177, Seminyak. Like the Stadium in Jakarta, 61 Legian is an iconic party place that must be visited by the party enthusiast. 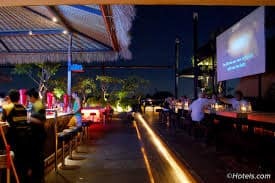 Residing in Legian, nightclub better known by the name of Sky Garden is pocketing seven areas with a selection of different music, one of which is Sky Garden located in the rooftop area. 61 Legian is the right place if you want variety. The music offered ranges from RnB to house music. There are so many choices that I’m sure everyone’s wishes are fulfilled. As the name implies, this club is located on the legian street. Mirror was born to present a classy nightclub in Bali. 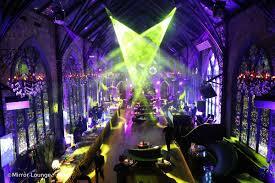 This party paradise is similar in design to the Gothic cathedral with high ceilings, candlestick series, and glass berkelir. The design is very classy. Guests like to set foot into a fantasy world when entering the club. A handful of people had complained with the selection of music, but the Mirror remains a party destination that must be stopped. Nevertheless, the nightclub that blends with this Jardin restaurant does require a lot of improvement. The location of this club is Jl. Petitenget No.106, Seminyak. 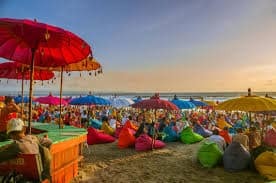 La Plancha has its own sensation to enjoy the sunset, restaurant and bar is indeed very suitable to relax enjoying the sunset in the area of Seminyak Bali Indonesia. It is actually open from morning around 08.00 – 01.00 Wita. In the morning many of the surfers start breakfast and continue looking for surf to surf. However, from 16.30 – 19.30 a good time to relax in La Plancha because there is a DJ attraction that presents track2 soul, chill even reggae accompany us to enjoy the sunset here. There are 6 International Resident DJs who will accompany us alternately, even sometimes there are DJs of the capital city invited to entertain at La Plancha. That’s why this place is perfect for party. 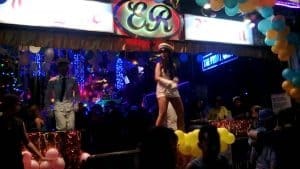 Engine Room is a nightclub with nightclubs and nightclubs with crowds of people on the main road in downtown Legian. The club door opens in the afternoon, earlier than most of the late-night venues along the same path. 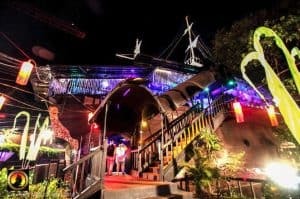 Partygoers can go directly to the main dance floor of the Legian sidewalk, and is the first popular stop on their club’s paired adventure, with other great hubs like Sky Garden and Vi Ai Pi reachable on foot along the road. Just five minutes’ walk from the other popular Sky Garden, this Bounty is next to the Apache Reggae Bar and is a favorite place for young Australians, especially during “school holidays”. Enter from the street on Jl. Legian You will pass the live music area on the right and the area with the pool table on the left. 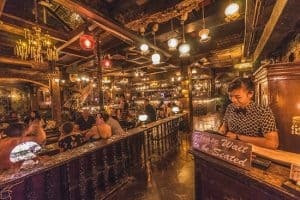 Then there are two dance floors located on the next two levels, one of which is made to look like an old pirate ship, hence the name “Bounty”. You will experience the best party ever here. Alleycats is a “warm up” for the big night in town, where you go to find a place just to have a drink and a casual conversation with your friends or your closest people. Close enough from Poppies 1 and 2, very popular with backpackers and surfers crowd looking for the most economical way to get drunk and party. Most common to bigger clubs like Sky Garden or Bounty after an hour or two from here. It is located about three minutes’ walk from one of the nightclubs and about 15 minutes walk from the Beachwalk. Another popular place on Jl. 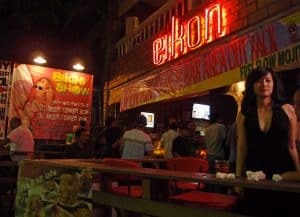 Legian is Eikon Bar & Lounge.Again it is quite near from Sky Garden and located just after the Ground Zero monument on the right hand side. The club starts from 11 pm onwards and there are often special Ladies Night and dance performances. The Guests and international DJ, R & B, hip hop and house music have a party until 03:00 am every night. This includes the best party in Bali because the rates are cheap and you will not be charged entrance fee. 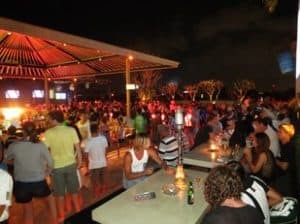 Those are the recommendation of the place for party in Bali. You can spend your night there as much as you want to release your stress.